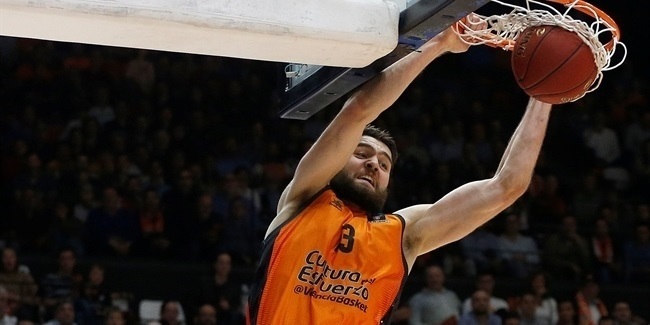 Three of four group winners from the 7DAYS EuroCup Top 16 survived the quarterfinals, creating a pair of marquee matchups for the semis as UNICS Kazan takes on Valencia Basket and ALBA Berlin goes head-to-head with MoraBanc Andorra. 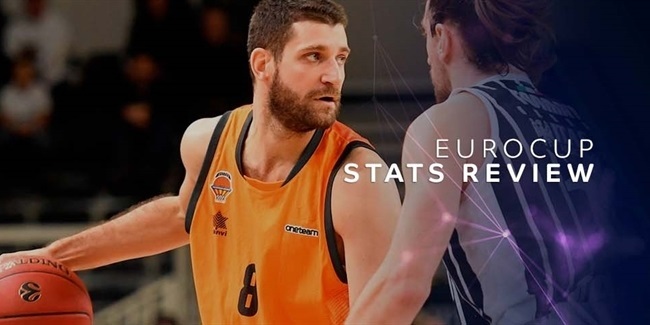 This year's semifinals feature four of the EuroCup's top seven offenses in terms of points-per-possession scored, as offensive play has been a driving factor behind the success of several top teams this season. As shown in the table above – which is specific to games after the regular season and sorted by points-per-possession margin – UNICS's stellar play defensively has been a key to their success since the end of the regular season. Valencia Basket by comparison has struggled defensively but has dominated the possession battle with its opponents and scored at a very high level. Valencia is one of the most effective spot-up scoring teams in the EuroCup this season and will provide a unique test for a UNICS team that has ranked just as prominently in defending spot-ups. MoraBanc and ALBA have taken a similar path to the semifinals, defending well enough to keep them in games and give their explosive, fast-paced offenses a chance to heat up. The two most accurate three-point shooting teams in the quarterfinals will face off in a strength-on-strength battle that figures to provide some offensive fireworks. With four high-level offensive teams headed to the semifinals, there are plenty of offensive-minded players who figure to play major roles in their teams' fortunes moving forward. The tables above recap the most efficient offensive performers in the Top 16 and quarterfinals among players from this year's semifinalist teams. 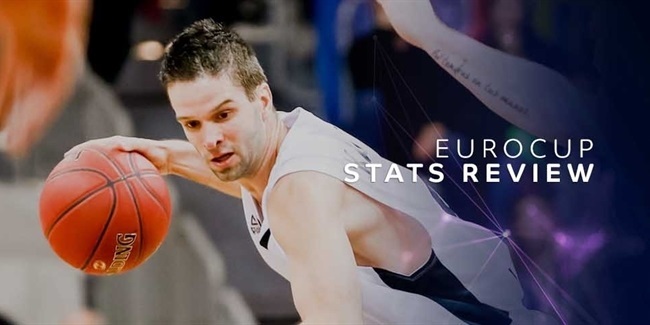 ALBA Berlin dominates the right size of the ledger with four very efficient offensive threats, including Rokas Giedraitis, who has been nothing short of spectacular in recent weeks. He has been perhaps the biggest beneficiary of Peyton Siva's return to action, but Siva has scored the ball at a high level in his own right in addition to his contributions as a passer. Martin Hermannsson had a tremendous showing in the quarterfinals as a passer, too, while Luka Sikma passed the ball as well as any big man in recent memory for stretches of the Top 16. ALBA has no shortage of capable playmakers this season. MoraBanc has its own high-level playmaker in Andrew Albicy, but lower-usage scorers like John Shurna and Moussa Diagne helped drive efficiency late in the season as the team distributed its possessions a bit more evenly than ALBA. UNICS Kazan has two of the more prolific jump shooting guards in the EuroCup in Errick McCollum and Jamar Smith, plus a pair of highly efficient forwards in Raymar Morgan and Melvin Ejim as well. They figure to test Valencia's defense from the inside and out. For Valencia's part, they have gotten steady contributions from Matt Thomas on the perimeter but have excellent balance with multiple players contributing from inside and out at a very high level within their offense. There is depth to spare among this year's semifinalists and no one player is likely to determine the outcome of any semifinal game, but the value of a hot hand in a 40-minute contest cannot be underestimated.